A travel husband on a beach honeymoon. Welcome to North Africas tiniest country. This is Tunisia. I figured since we have touched on the things you need to know before traveling to Tunisia, its time to figure out what will we do when we get to this Mediterranean country with loads of olives, beach bumming and desert escapes and adventures. 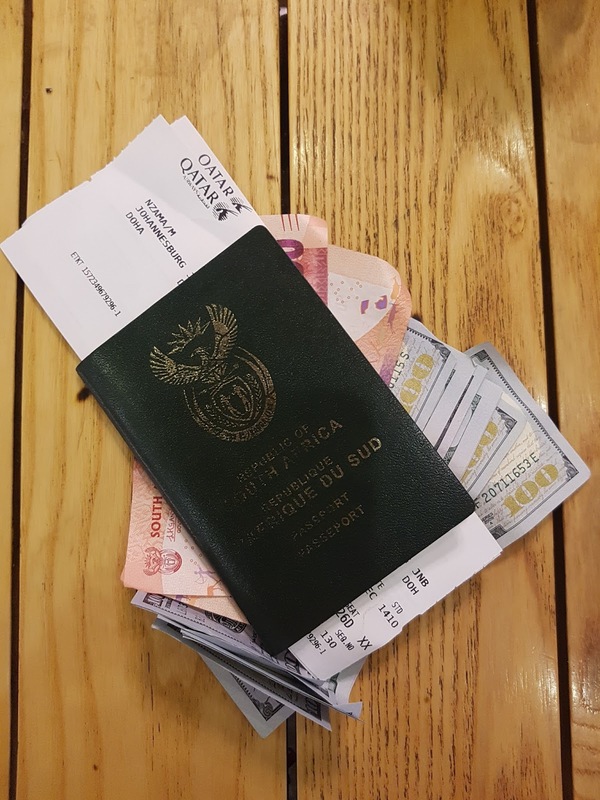 Remember, when traveling on a South African passport, you don't need a visa for Tunisia. It is a visa on arrival for 90 days free of charge. Bring your negotiating skills cos anything and everything can be negotiated. Do not negotiate with small businesses or street vendors, they are not millionaires and they are just trying to feed their families. They will not scam you so don't be that horrible traveler that nobody likes. 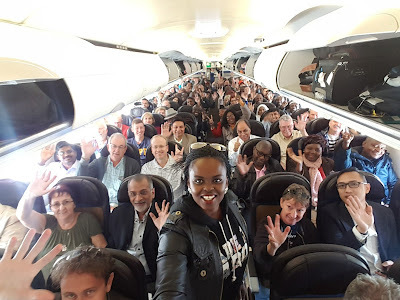 There are no direct flights from Johannesburg to Tunis, chances are you will fly to Europe first to connect to Tunisia. I know its annoying but it is what it is. Just pack your bikinis and sunscreen. In Tunis, you don't want to miss the Medina of Tunis. A UNESCO world heritage site. At the Entrance of the Medina is where you will find Porte de France (Gate of France) which marks the separations between the Medina and the European city of Tunis. The gate is the entrance to the Medina in a courtyard where you will find local kids playing and most times will run towards you and try play with you too. 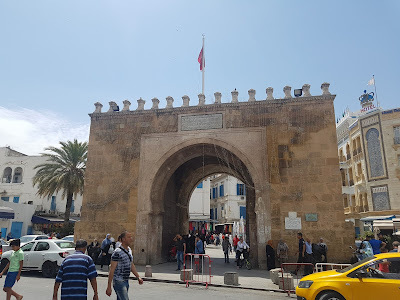 The gate faces the Avenue Habib Bourguiba, one of the main streets in Tunis named after the first president of the Republic of Tunisia and the leader of the Tunisian Independence movement. 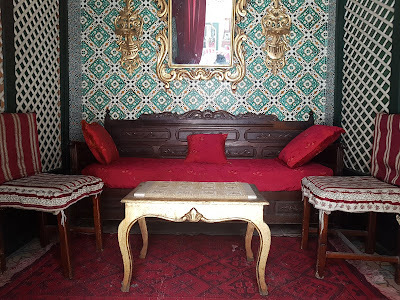 While in Tunis, I stayed in the Medina at the Auberge Elmedina. 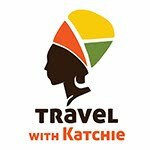 It is a hostel that caters for solo travelers, couples, and families. 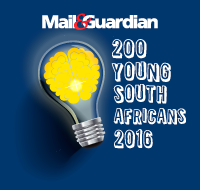 You can book a bed in the dorm or a private room, the kitchen and bathrooms are communal. They have uncapped wifi which is free for all who are staying in the hostel, there is a TV room that also doubles as the smoking area as well as a large restaurant area with tables where you can sit and do your work or eat your lunch. Do bring your own books but if you are learning French, they do have some French books you can read. The hostel rates range from USD 8 - 28. A single room at the Auberge Almedina. lounge area just outside your room. Get lost through the narrow alleyways while window shopping and finding amazing coffee shops through the Medina and you will definitely find all the souvenirs your heart desires. 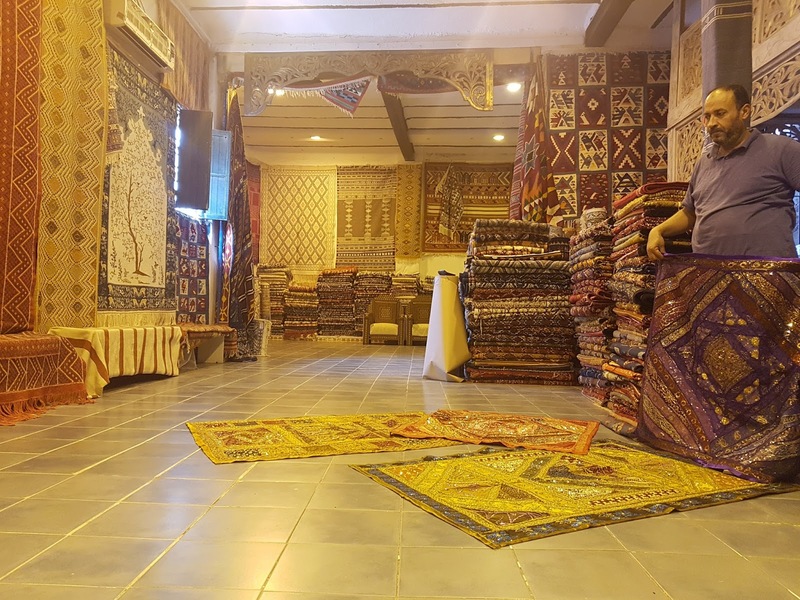 Among the stores selling clothes, furniture, jewellery, perfumes, confectionery and even coffee shops, Medina of Tunis has up to 700 monuments, mosques, madrasas, and mausoleums. You will need the whole day to explore this ancient city that comes to live in the evening during Ramadan. Bring your walking shoes and bare in mind the surface is paved with slippery rock. If there was ever an easier way to make friends while traveling solo, it has to be through Couchsurfing. 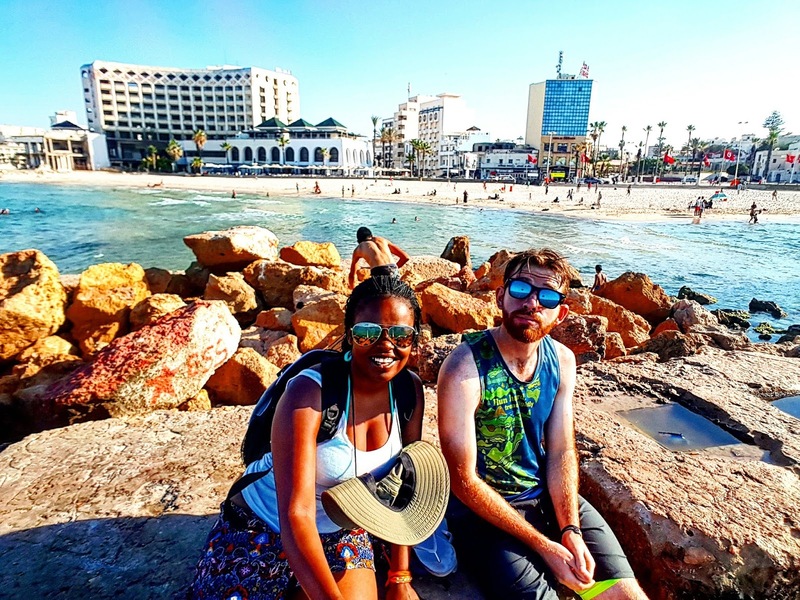 you are able to find some locals to hang out with who can take you around when they have the time or meet some travelers looking to meet other travelers and adopt travel buddies. I always say that no one ever truly travels alone, you may leave home alone but your travel partners await you at your destination. 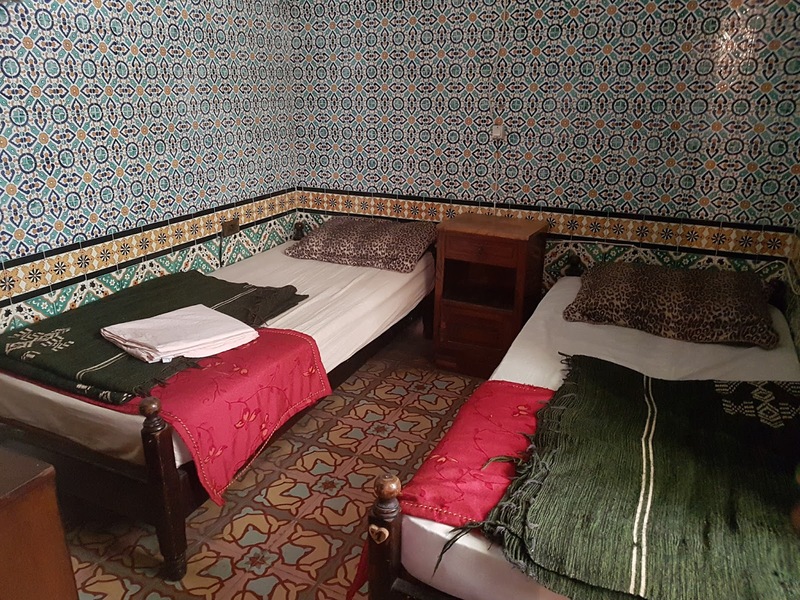 These are the travel partners I made while staying in a hostel in the Medina of Tunis. A perfect idea would be bar-hopping through Tunis. start off in the city through the Avenue Habib Bourguiba, target the large hotels as they usually have bars and music and sometimes live bands on their rooftop bars. what better way to go bar hopping while taking in the Tunis skyline at night. 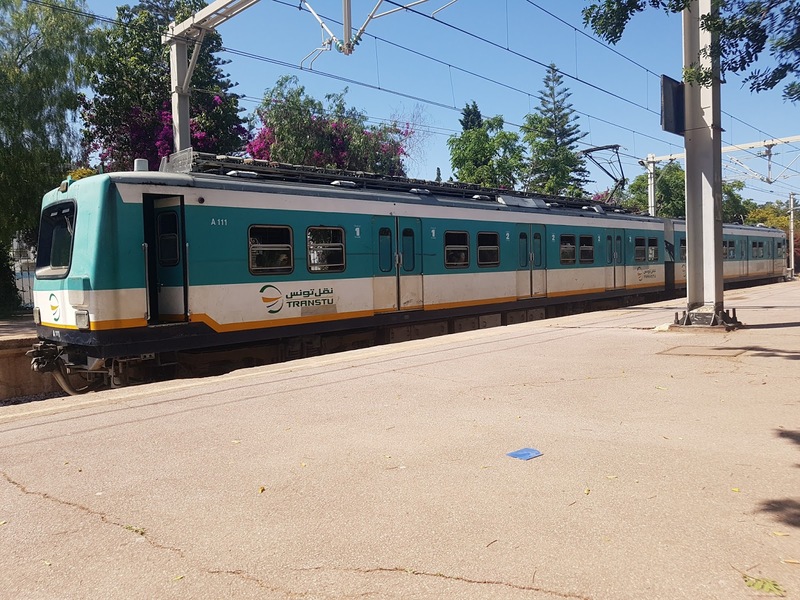 From Tunis, take a short 20minute train ride on the TGM train to explore the ancient Roman ruins of the ancient city of Carthage. The ancient city is a UNESCO World Heritage site and this is where you will find the Baths of Antoninus. The baths are the only remaining in the world dating back to the Roman empire. The train drops you about 300m from the entrance to the ruins of Carthage. get back on the train and continue to Sidi Bou Said. This is where you will find the Tunisian wealth. the small Mediterranean town is perched on a hill and overlooks the Mediterranean sea with the yachts parked in the background. the city is painted in blue and white with a touch of pink from the jasmine flowers that grow frame the windows and over the entrances and resembles the Greek island of Santorini - without the donkeys as a mode of transport of course. Sidi Bou Said is an artistic town, with world-renowned artists having lived there. in the night time, this tourist attraction becomes one where with nightclubs and coffee shops, filled with locals and tourists alike. 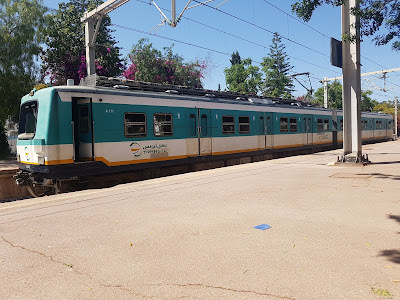 You don't need to get another ticket for the TGM train, from Carthage to Sidi Bou Said is 600 millisimes (USD 0.25), you will only buy another ticket from Sidi Bou Said on your way back to Tunis. North of Tunis, is where you will travel to Bizerte to find the small town where you will be close to Cap Angela, Africas Northernmost point. In order to reach this iconic landmark, you will have to hire a car. It is cheaper to hire a car with a driver in Tunisia. there is no way to get to Cap Angela using public transport unless hiking in scorching heat is more your thing. you can pack your picnic basket and enjoy an afternoon of swimming on the private beach right next to the lighthouse. bring your umbrellas as there is no shade on the beach. Although there will be plenty of beaches in Tunisia, a professional beach bum like myself will always find their way to Souse. Like in any North African city, here too, you will find a medina. I didn't visit the medina as I was just here for beach bumming purposes and would not allow anything else to take time away from catching the sun on the beach. The train from Tunis to Sousse will cost you 11 Tunisian Dinar (USD 4.50). A lot has happened in Tunisia since 2011. with the Tunisian revolution in 2011, the botched suicide bomber attack in 2013 in Sousse, the 2015 mass shooting where 38 tourists were killed in a resort in Sousse, the tourism has taken a rather heavy knock. 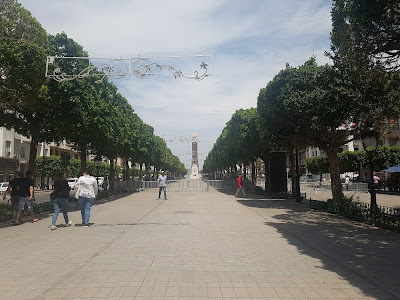 A country that once depended on group travels from Europe to now not having any tourists, you can see the after effects of all these events as you walk through the streets of Sousse. Every second building in Sousse was a hotel, and a large majority of these buildings today stand abandoned. The locals are the ones who are struggling the most with their means of income no longer around. Even the few hotels in Sousse that you will find, the hotel rates are all negotiable, most of the floors on the buildings are abandoned as they cant maintain them without tourists booking those rooms. We walked around and found ourselves at the beach front and that is where we walked into a hotel and got a room for 2 for USD30. 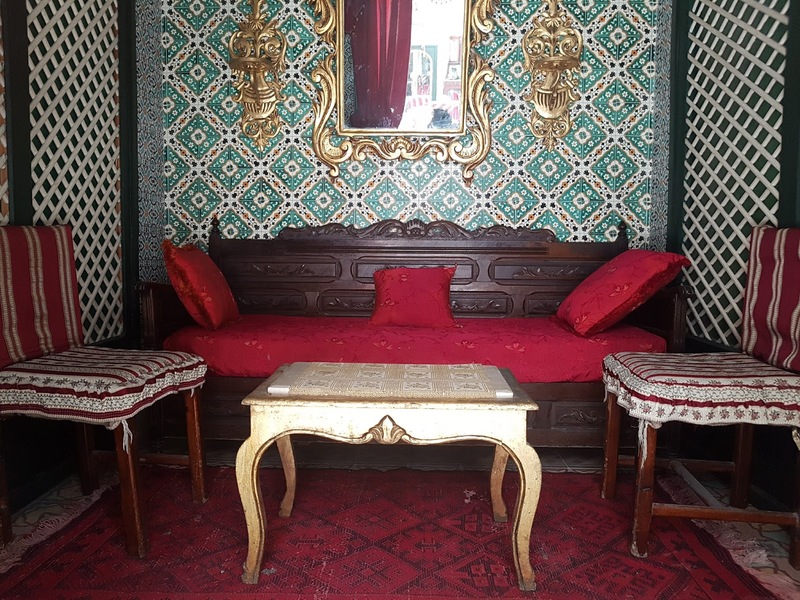 If you really wanted to do Tunisia on a budget, sticking to only hostels and budget hotels, public transport, and eating from the local small family run eateries and coffee shops, etc... You can comfortably survive on a USD25 budget a day. And if you are staying in a hostel, you can meet other travelers who might want to do what you want to do and you can come together to save costs and travel together, and this will allow you save costs. That's what I did.